This Disney's Cinderella Water Globe 100mm is a collectible item, making it a wonderful gift for fans of the fairy tale. The story is an European folktale, which tells the story an ill-treated girl who overcomes oppression and marries the man of her dreams. The intricate design of this 100mm ornament is inspired by the 2015 Disney film. 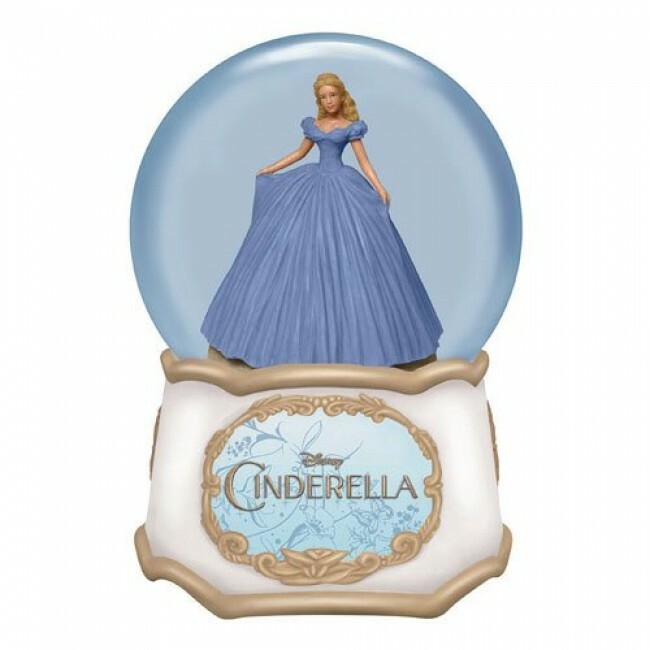 A figurine of Cinderella in an extravagant blue gown is in the middle of the glass ball. The globe measures approximately 4 inches in diameter and rests on a resin base. The base has a placard with Disney Cinderella written on it. Intricate baroque decorates the placard and base.